Some people really do not like wires. We can't blame them—tangled cords can definitely get in the way of your dream home's aesthetic. 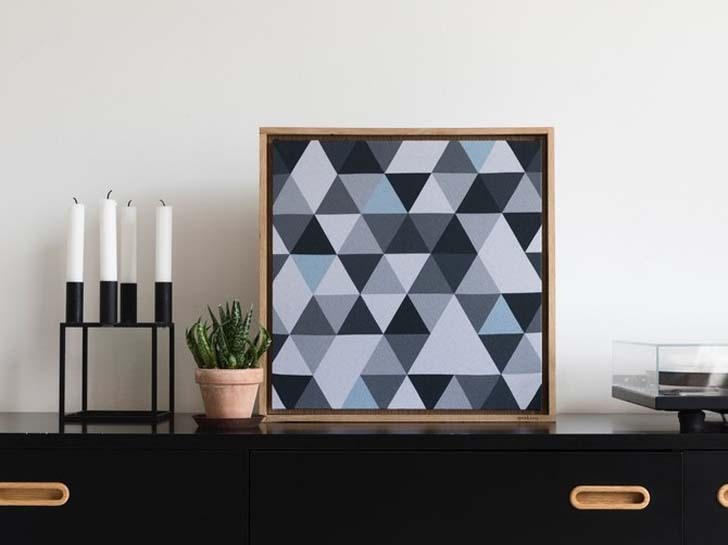 Thankfully, Danish design brand Speakarts has developed a new solution, an eponymous speaker that hides unsightly cables and is disguised as a customizable piece of wall art in a chic wooden frame. As noticed by Curbed, the company is currently crowdfunding on Indiegogo, where it has raised $4,494 of its $60,000 goal as of Thursday afternoon. A donation of at least $349 will get you a Speakarts of your own. [post_ads]As explained on the company's Indiegogo page, the wireless speaker is actually in the center of the frame, and it comes with a pretty "audio-transparent cover" that allows music to stream seamlessly through the material. To honor the aesthetic goals of the product, the team partnered with five burgeoning visual artists to create artwork for Speakarts, and their designs are available exclusively to those who donate to Indiegogo. If you're not into any of Speakarts' classic designs, you can also upload your own high-resolution image, which the company will print on the special audio-transparent paper when you place your order. And if you're commitment-averse, you can easily switch things up every day because the paper is attached to the frame by simple magnets. The product is also rechargeable, and a full charge gives you enough juice to listen to over 25 hours of music. For even more immersive sound, you can buy two Speakarts speakers and pair them using the device's app. "As an audiophile myself, passionate about both design and sound, I have always been faced with the compromise between great sound and great design," said Thor Monsted, cofounder of Speakarts, in the brand's campaign video. "I really felt the need to change the way we perceive loudspeakers and Speakarts is the solution. No compromises, just a marriage between stunning design and high-end sound." This is not the technology world's first attempt at disguising a piece of electronics with art. Last month, Samsung released a Yves Behar-designed television called The Frame, a wall-mounted television that doubles as a piece of art when it's not being used.